Trust AMM to help you keep your printing equipment running efficiently. 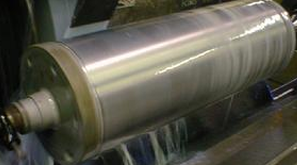 We offer print cylinder refurbishment and roller refurbishment solutions. With us on your side, it's easy to keep your machines running and operations on time. 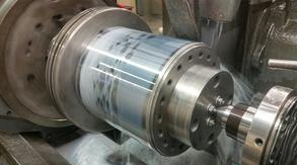 Printing presses have cassettes that consist of large frames and rollers. These insert cassettes contain three main rollers that often require replacement to create larger print sizes. The cassettes can be sent to us for customization, frame repair, bore or cylinders repair and replacement of its seals and bearings. 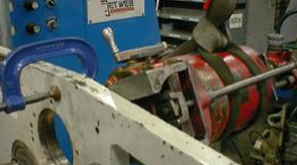 If you have a worn out bore for a bearing or bearing box, we can fix it! 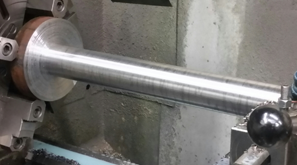 If the bearing fits straight into the bore, we will bore it out and sleeve it. 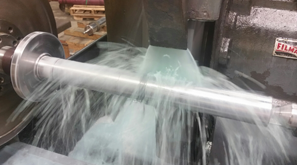 If a bearing box fits into the bore, we will bore it to clean and metallize the box to accommodate the oversized fit.